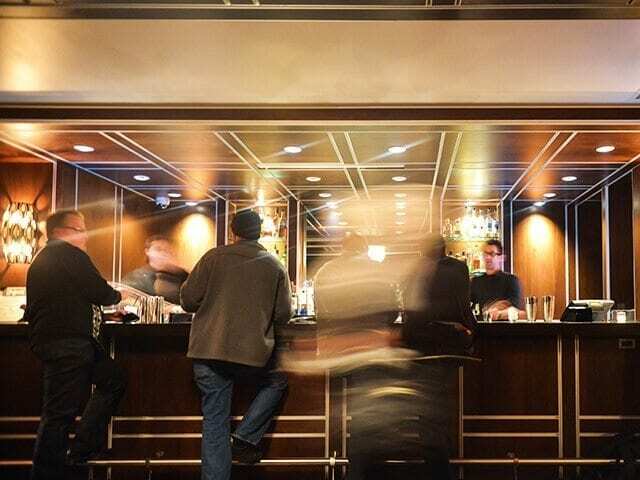 Vessel Innovations, a Toronto-based startup solving problems in the hospitality industry, was in the process of field-testing BarTop, its sensor-based hardware-software solution that makes inventorying liquor a breeze. After testing in its first location for about a month, the Vessel team was in the process of setting up a second pilot. The company’s app was very basic at the time, serving mainly as an interface for a hand-held sensor that tested for data accuracy and consistency. Andre Furlotte, the founder and CEO of Vessel, had a vision of where he needed the software to go, but hadn’t obtained any outside input on his ideas. That’s where the MaRS Design team came in. MaRS Design helps startups to tackle their digital design challenges. We met with Andre to gain an understanding of his priorities and how we could have the most impact on his venture. During our consultation we agreed to focus on getting an integrated view of how users interact with BarTop’s overall system in order to help guide product development. We started by getting to know BarTop’s users. We visited with bar owners, managers and staff, and then explored various concepts by storyboarding real-life contexts. That’s how we designed a solution that spoke to the users’ needs. Our research indicated that sales and variance are both top-of-mind for effective bar managers, so we put them front and centre. We also provided workflows to help minimize the waste of premium products and to monitor the popularity and profitability of new products (like cocktails) to help improve the bottom line. “The focus was on the people. The conversation wasn’t at all about the wireframes—it was about understanding the client, which is the way to do it,” said Andre. MaRS Design helped Vessel Innovations uncover data-driven insights about its customers (bar managers) to drive product development. In the end, we helped Andre articulate a coherent product vision in the form of wireframes and we evolved the company’s original concept, which focused narrowly on helping clients complete a chore more efficiently. Using our customer-driven insights, we designed an integrated solution that allows bar managers to improve the bottom line through actionable liquor inventory data and we provided timely guidance that centred on the goals of BarTop’s real users, beyond best practices. Vessel took our deliverables and rolled them into a beta system to continue field-testing with its customers. By working with us, Andre was able to evolve his product more efficiently and move his business forward. Soon after completing our work, Vessel was accepted into the DMZ at Ryerson University in downtown Toronto, where Andre continues to work on his venture. We love working with entrepreneurs like Andre who are focused on their customers’ needs and have first-hand industry knowledge and experience, but just need an efficient way to work through strategic design challenges to get their ventures to the next level. We have a knack for coming up with flexible yet structured processes to solve design challenges—and have lots of fun doing it. If you have a startup venture in the Toronto or Waterloo area and want to learn more about how MaRS Design can help you, schedule a free 45-minute design consultation on the MaRS Design website.